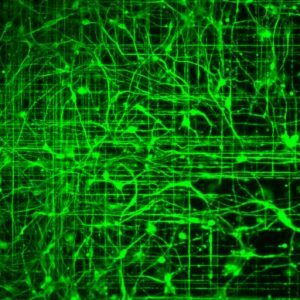 “SyonChip” is a discovery based project that combines stem cell differentiation, bioengineering, advanced imaging techniques and molecular biology to create a model of the aforementioned tripartite synapse. This permits transcriptome-wide characterization of i) the maturing synapse and ii) the effect of astrocytes on this fundamental process. SyonChip combines expertise in neuronal cells and live imaging, –omics approaches for neurobiology and microfabrication. "BioCoNNet" is a new bioengineered platform that aims to recreate the complexity of human cortical circuits in vitro using stem cell derived neurons. It uses this neuronal network to understand how connections in cortex are established and maintained, and how they are lost in dementias. The questions of length dependent vulnerability of motor neurones (MNs) in amyotrophic lateral sclerosis (ALS), and how specific changes related to extremely long axons can present a molecular bottleneck for vulnerability, is important and cannot at present be systematically addressed with current in vitro paradigms. This project represents the first instance in which length-dependent vulnerability and changes in axonal transport and local translation can be investigated directly in vitro using patient-derived cells, combining bioengineered substrates, high-content imaging and advanced molecular probes. PhD Opportunity Available for this Project! We are always trying new things, and we love tinkering. 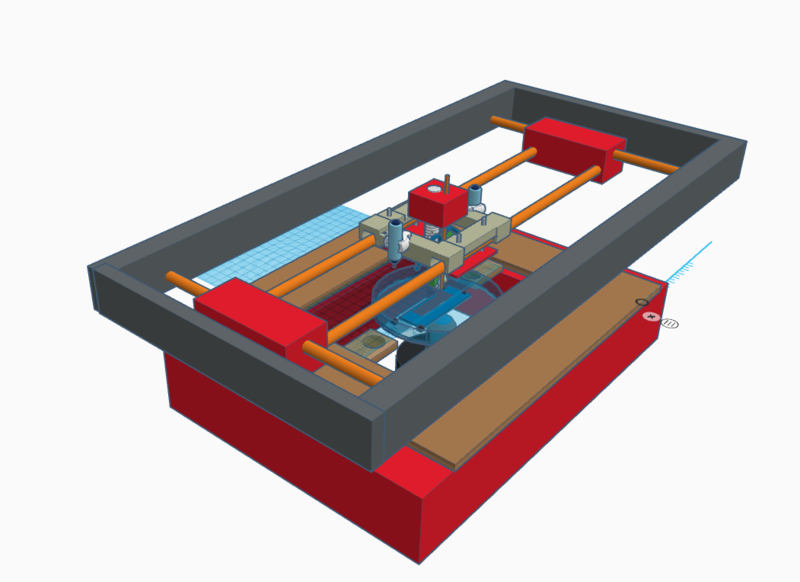 These projects are dedicated to hack together new ideas to create new instruments and techniques that can help improve NCE research and in vitro modelling in general. 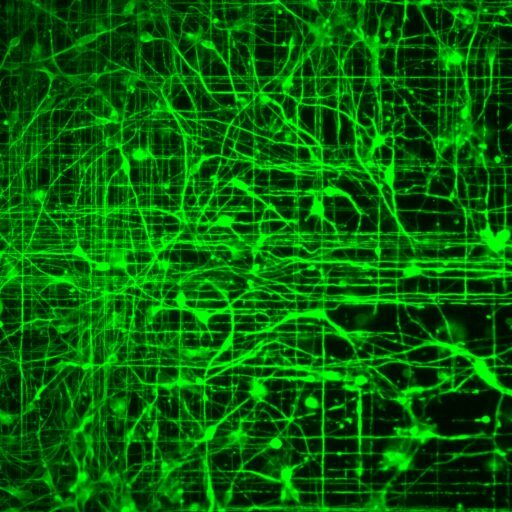 Stem-cell based modelling for neuroscience has been established in recent years as a powerful tool to recreate human neurodevelopment and to study neurodegeneration in vitro with human cells. 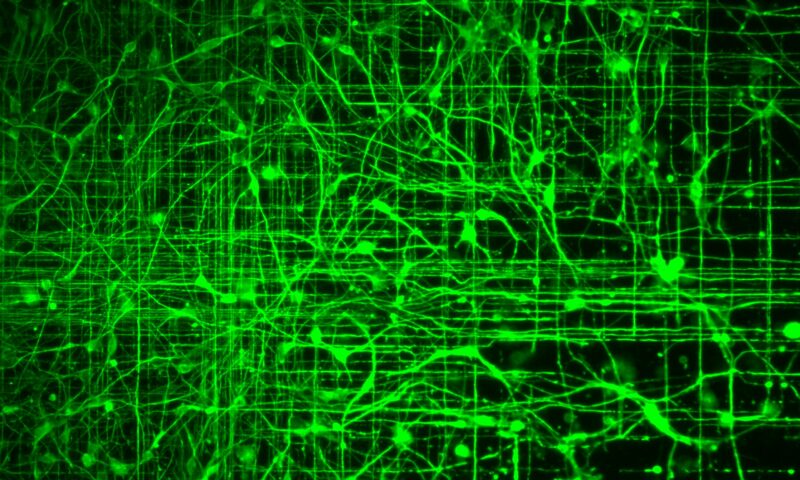 However, the power of in vitro modelling is limited by the gap in complexity between stem cell culture set-ups and the functional units of the nervous system, neural circuits.This gap is mainly due to the lack of technologies capable of controlling precisely both timing and position of multiple cell types in a culture across complex architectures.This project aims to narrow this gap by developing a novel integrated system for the precise positioning of cells and extracellular matrix (ECM) proteins on living neuronal cultures, while simultaneously performing live imaging-based functional characterisation. This system will allow recapitulating in vitro the timeline and interactions of human neurodevelopment and to dramatically increase the complexity of stem cell cultures while maintaining complete control and possibility manipulation. We are interested in understanding the contribution of astrocytes to the pathological mechanssm if ALS within the context of different disease causing mutations.